Adeline’s Sea Moose and her crew have been a part of making proposals of marriage and sharing of wedding vows magically. 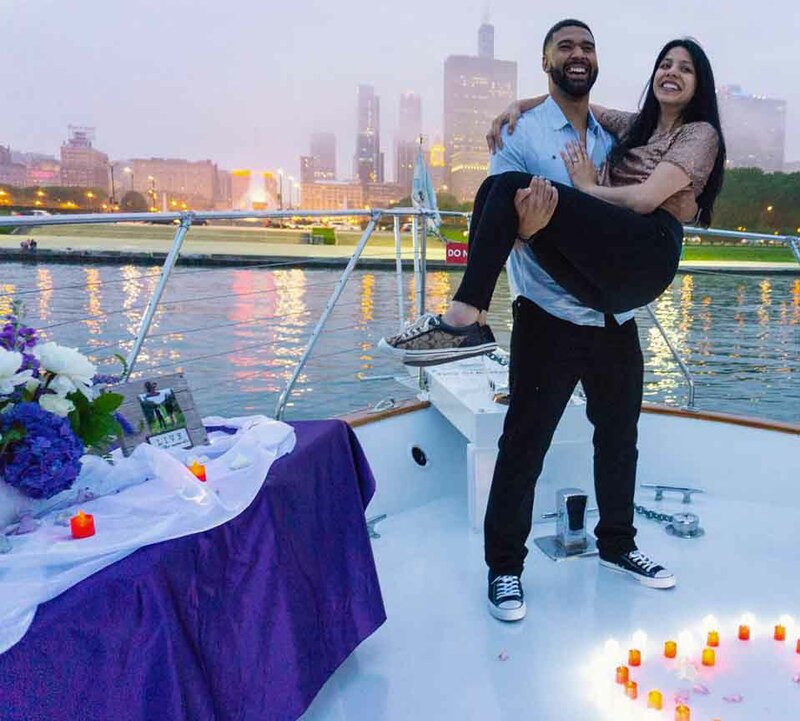 At Chicago Private Yacht Rentals it is more than offering you a unique venue for that magical moment. Providing 68-feet of luxury, attentive crew and picturesque backdrop of Chicago’s skyline are just starters, we will attend to every detail and the pampering is non-stop. There is still time to reserve your magical moment aboard Adeline’s Sea Moose this year and we are accepting reservations for 2019.